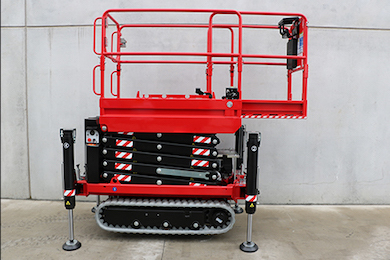 Athena 850 HE Rough Terrain Scissor lift. 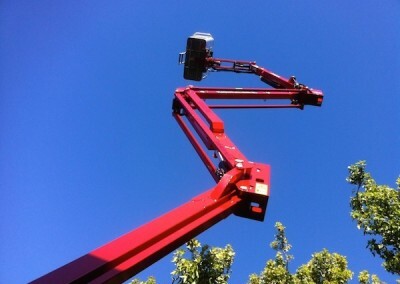 The Athena 850 HE is the latest addition to our specialist access hire Fleet. 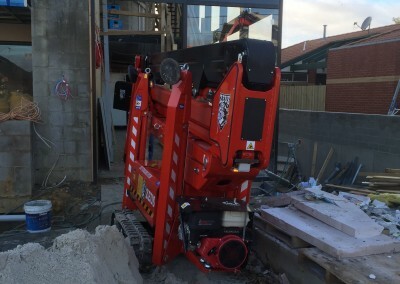 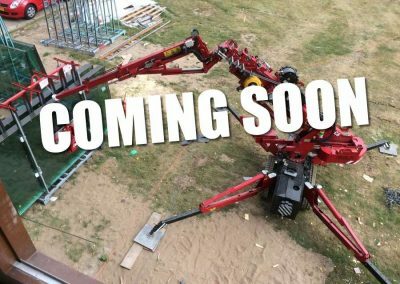 We see difficult access work sites every day and often find that we can get our spider lifts into work sites but don’t always have the space required to put the legs down, the Athena is the solution. 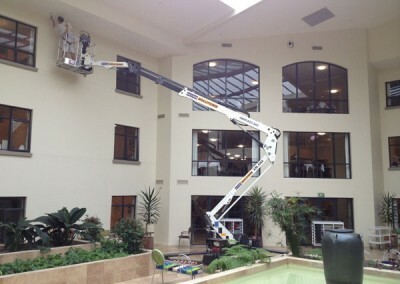 The Athena 850 HE is a Rough Terrain mini 19ft scissor lift that will fit through an 800 opening. 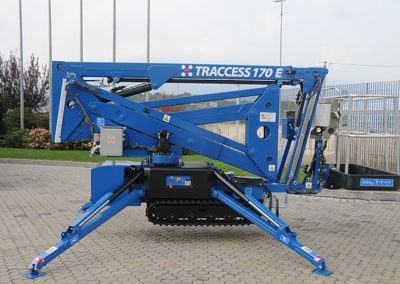 With minimum dimensions of 796 wide x 1880 high (with the rails folded down). 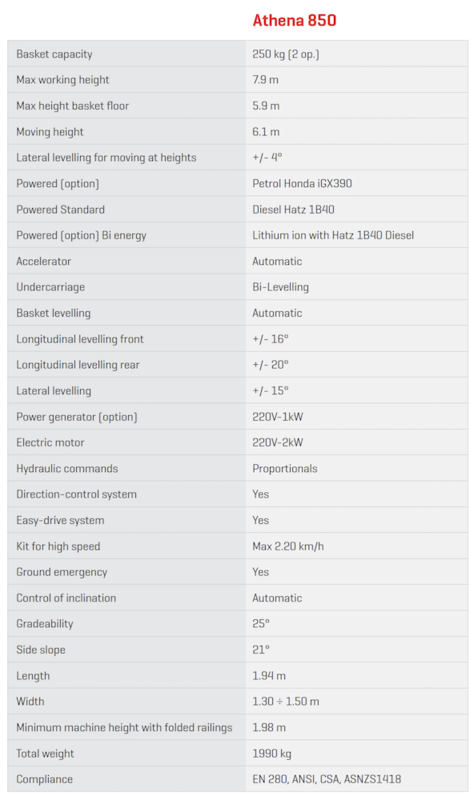 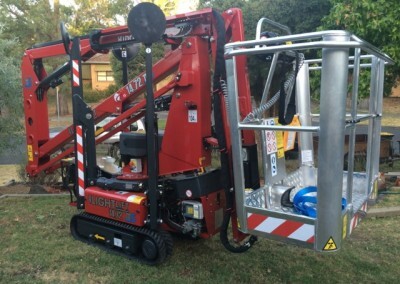 The Athena is all about steep slopes, Carpark ramps, steep driveways arrow walk ways, and any combination of them all. 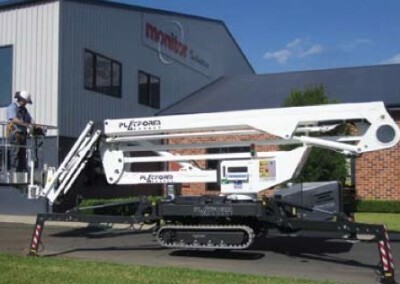 This rough terrain scissor lift will set up on a slope of over 20 degrees. 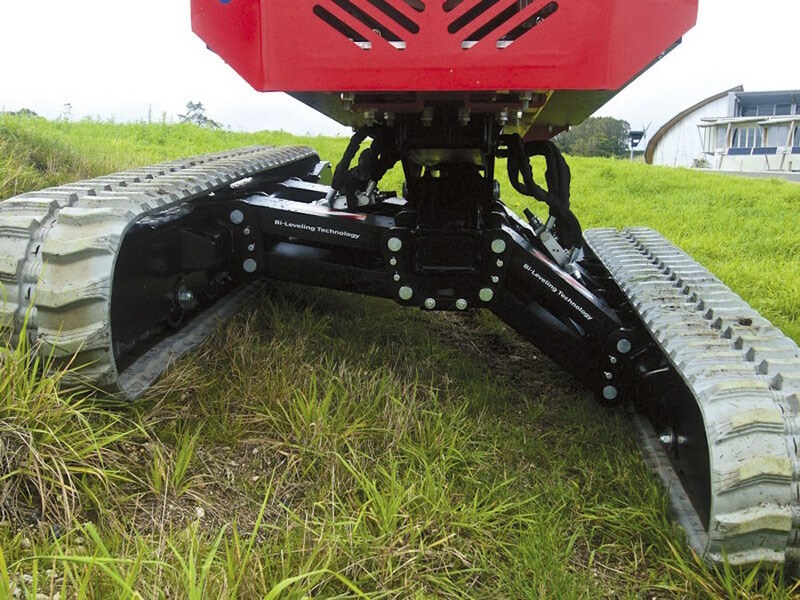 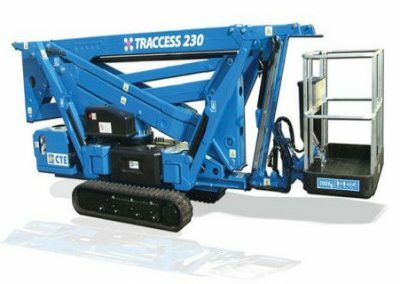 The tracked scissor lift has hydraulic expanding tracks so it can safely climb the steepest of worksite slopes. 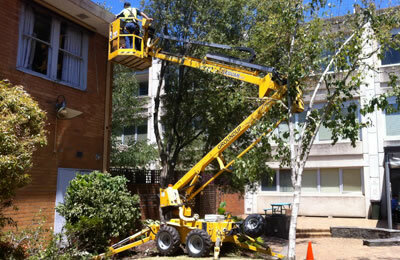 These scissor lifts are the new way to get you job done safely and efficiently. 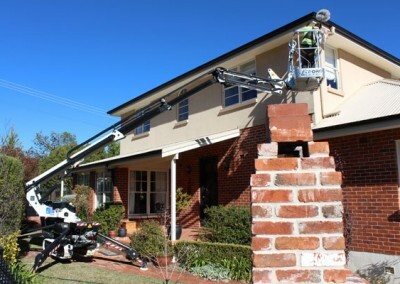 Whether you are painting, rendering, installing Windows, External Cladding, Down pipes the list goes on. 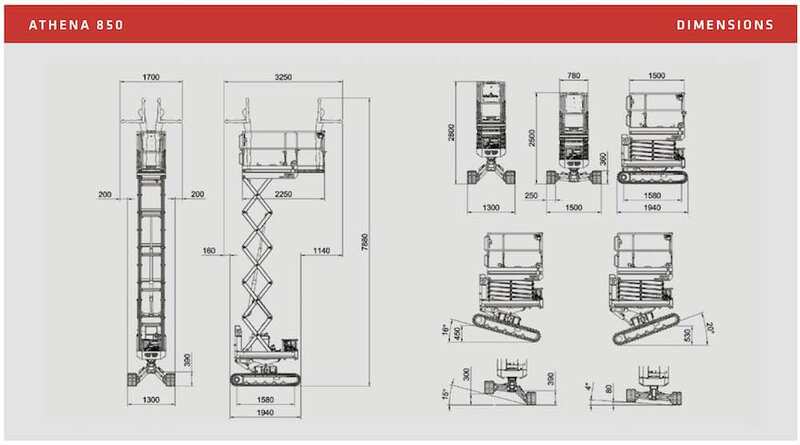 Ask us about our Aluminium ramps and other products we can provide to help you get you job done safely and efficiently. 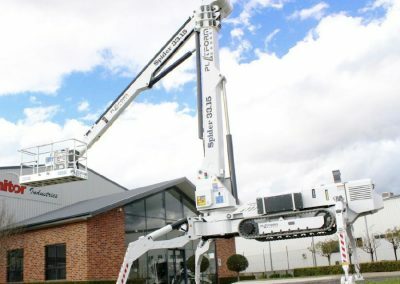 We can also provide familiarisation and training for these Athena scissor lifts, Our delivery drivers have plenty of experience to help advise or even drive the Athena into the best work position for you. 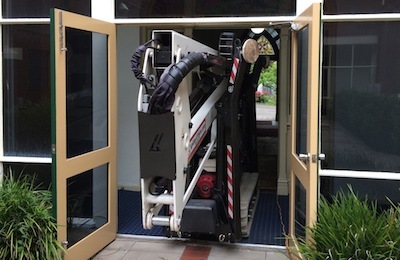 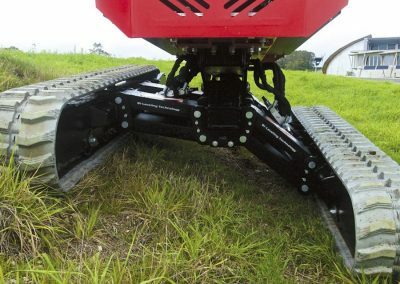 With adjustable tracks to assist in gaining access through a narrow doorway, gate, and garages, there is no stopping where this spider boom can go. 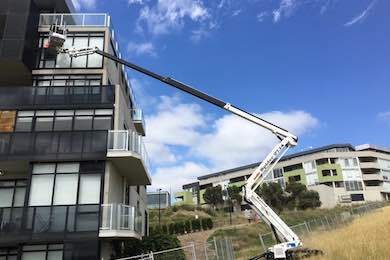 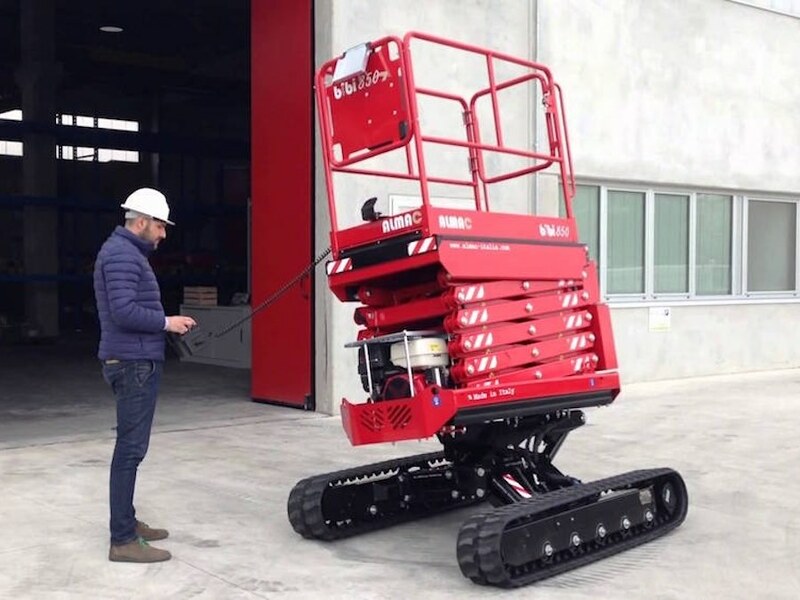 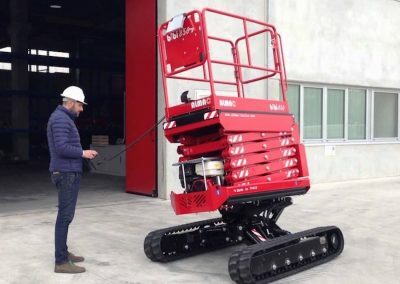 A hired spider boom lifts share all the best features of a hired scissor lift or a rented knuckle boom lift and even a mast lift. 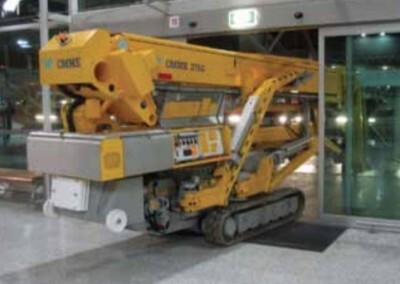 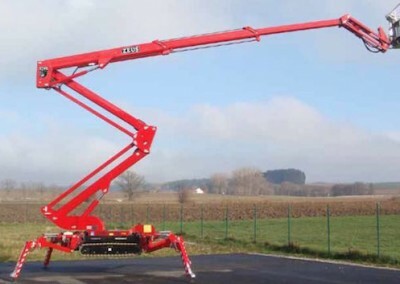 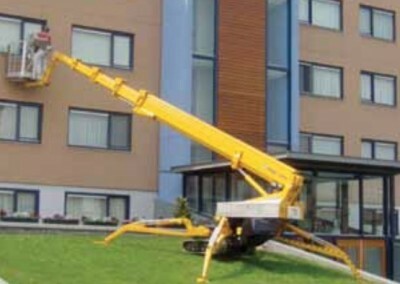 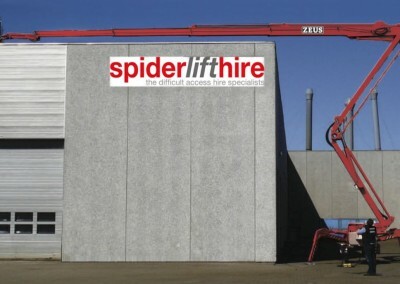 Give Spider Lift Hire a call today, an expert member of the team can come out to your site and suggest which spider lift will best for your job application.